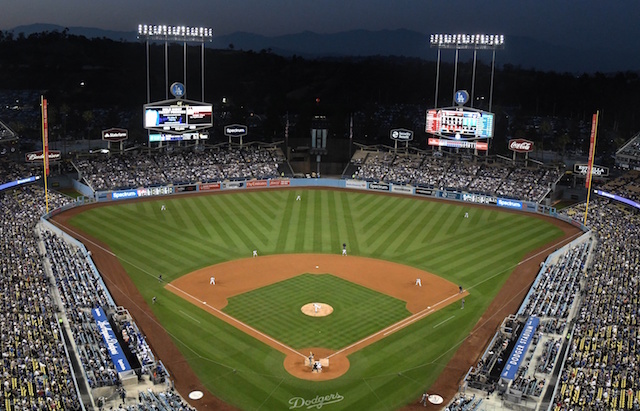 After dropping Games 1 and 2 of the 2018 World Series at Fenway Park, the Los Angeles Dodgers return home looking to get back on track against the Boston Red Sox. The Dodgers find themselves trailing 2-0 in a postseason matchup for the first time since the 2013 National League Championship Series. The St. Louis Cardinals advanced to the World Series that year after defeating Los Angeles in six games. Of the Dodgers’ six World Series championships, three of them were made possible after the club overcame respective 2-0 deficits. The latest team to do so was the 1981 Dodgers, who stormed back with four consecutive victories to defeat the New York Yankees in six games. Standing in the way of the 2018 Dodgers potentially adding their name to that list is a Red Sox team that doesn’t have many losing stretches this season. Boston went 1-4 in a five-game span just once while never suffering a five-game losing streak at any point. Los Angeles hopes a change of scenery does the trick and sends Walker Buehler to the mound for his fourth start of the 2018 postseason. The rookie, all too familiar with pitching in high stakes games this October, is coming off a gutsy effort in Game 7 of the NLCS against the Milwaukee Brewers at Miller Park. In 4.2 innings of work, he allowed only one run with seven strikeouts and settled down nicely after yielding a first-inning home run to Christian Yelich. All-in-all, Buehler is 0-1 with a 5.40 ERA and 1.08 WHIP across 16.2 innings pitched this postseason. While he’s allowed three home runs, the right-hander has been efficient in tallying 22 strikeouts against only four walks. The Red Sox counter with 2016 American League Cy Young Award winner Rick Porcello, who makes his fifth appearance and third start in October. The 29-year-old struggled in his last outing against the Houston Astros in the AL Championship Series, yielding four runs on seven hits (two home runs) over four innings pitched. Prior to that, Porcello was solid in one start against the New York Yankees in the AL Division Series. He earned a victory in the clinching Game 4 at Yankee Stadium, where he was tabbed for four hits and one run in five innings of work. Overall this postseason, Porcello has posted a 4.22 ERA and 1.22 WHIP with six strikeouts compared to one walk in 10.2 innings pitched. 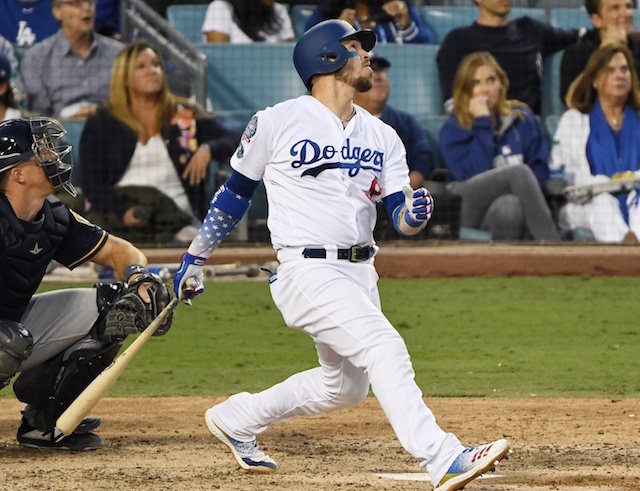 With a right-hander on the mound, the Dodgers’ lineup looks much different in Game 3 than the first two games as Joc Pederson, Max Muncy, Cody Bellinger and Yasmani Grandal all get their first World Series starts. The Red Sox also made some lineup changes, inserting left-handed bats Mitch Moreland and Brock Holt into the lineup against Buehler. Additionally, without the luxury of a designated hitter, J.D. Martinez is forced to play left field, sending Andrew Benintendi to the bench.